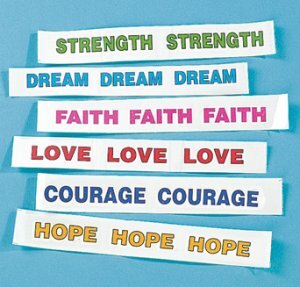 Christian inspirational temporary tattoos. Can be worn as a bracelet or can be cut into individual words. Please select your choice, some have 2 words and some have 3 as shown.